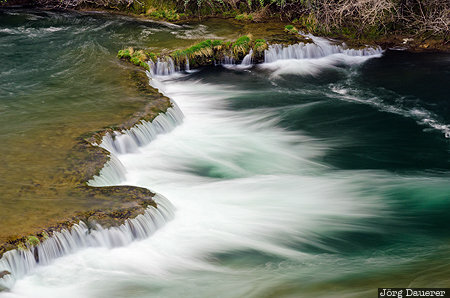 The Skradinski buk waterfalls in Krka National Park with the motion of the water made visible by choosing a long exposure time. Krka National Park is in ibensko-Kninska in the north of Croatia. This photo was taken in the early afternoon of a cloudy day in November of 2014. This photo was taken with a digital camera.